The Weatherization Leveraged Partnerships Project is funded by the Department of Energy Office of Weatherization and Intergovernmental Programs. Our goal is to support local Weatherization Assistance Program (WAP) organizations to increase the size and impact of their federal program through local or state partnerships that provide more resources. 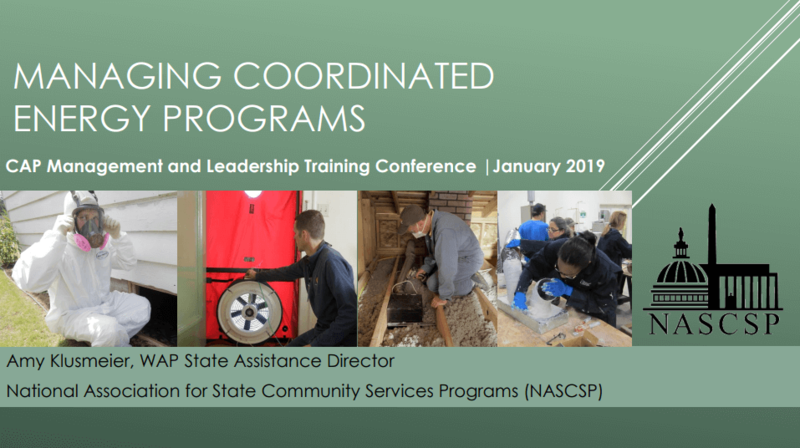 The project team is based at the National Community Action Partnership to offer training and assistance to WAP subgrantees and their associations as they design and advocate for private partnerships and programs to coordinate with their federally-funded services. 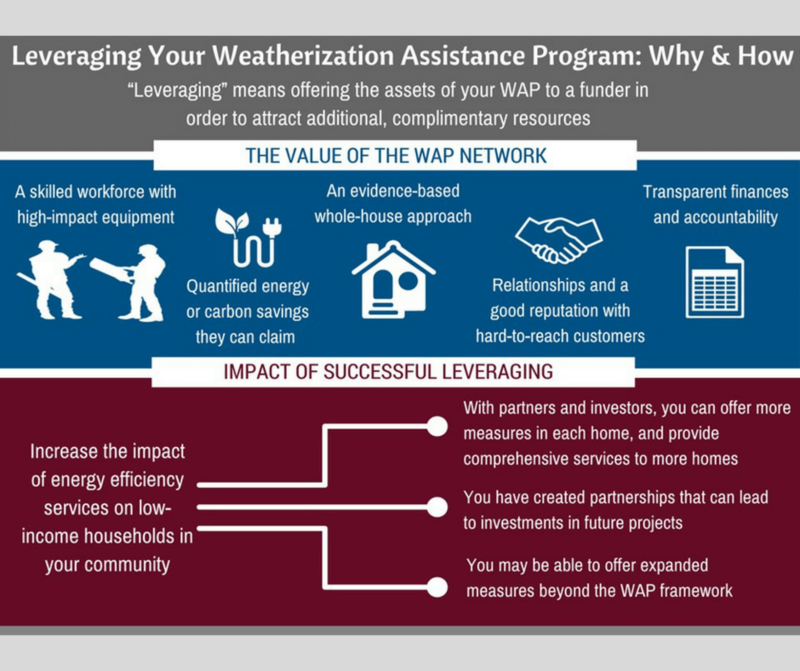 Having a strong Weatherization Assistance Program is key to successful leveraging, CAP seeks to ensure that subgrantees have the information and support needed to run a strong program. 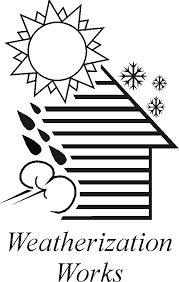 The Weatherization Assistance Program (WAP) is managed by the Department of Energy (DOE). Access the the DOE WAP website for more information and the Program Guidance page for notices and memorandums. Be sure that you are notified of the release of new guidance or memorandums by signing up for the DOE WAP Newsletter. See this contact list to know which Program Officer at DOE is working with your state WAP network. Households are are eligible for the WAP if their incomes are at or below 200% of the poverty level as determined by the Department of Health and Human Services Poverty Income Guidelines. There is no published Census data that displays the count of how many households are eligible in each state (only families); see this report utilizing Pubic Use Microdata Series (PUMS) from October 2016 to see an unofficial Estimated Number of Households Income-Eligible for WAP. 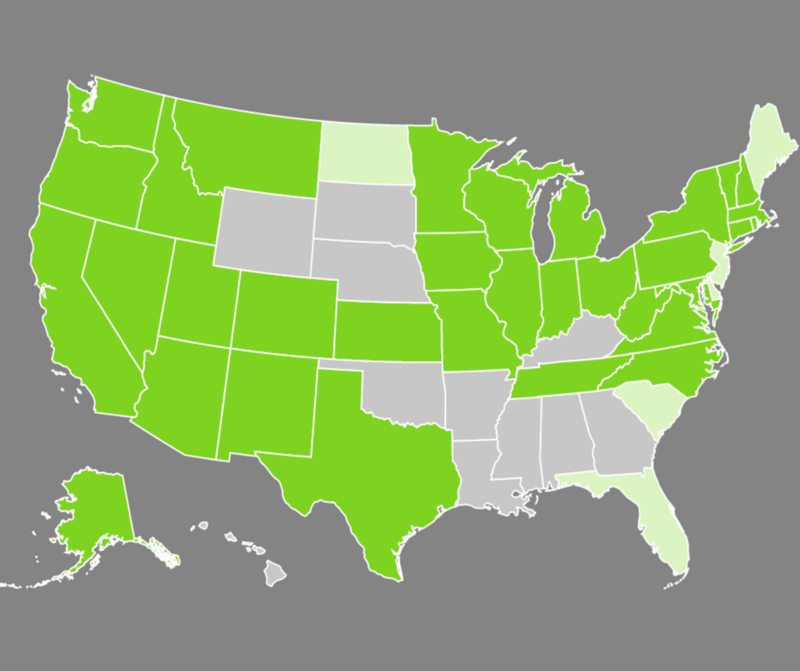 The DOE Financial Assistance Rule, 2 C.F.R. § 200.305(b)(1) requires states to pay WAP subgrantees, other than for-profits, in advance as long as certain conditions are met. See this updated brief from CAPLAW for guidance on advance payments in the WAP. View the volumes of the Oak Ridge National Lab National WAP Evaluation. And see the Practitioner’s Guides developed by the project for short summaries. Winning leveraged dollars and designing coordinated programs can be a complicated process. 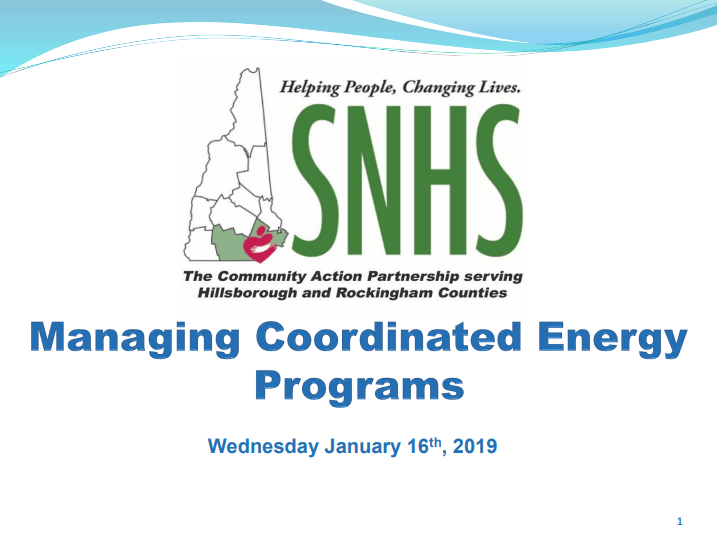 Our team is available to help by sharing program design examples that complement WAP and LIHEAP, sample testimonies for advocacy at the utility commission and templates for allocating leveraging dollars through the state plan. The energy partnerships team can connect your organization with peers and energy advocates that have designed successful programs and mitigated many of the challenges that arise in this work. 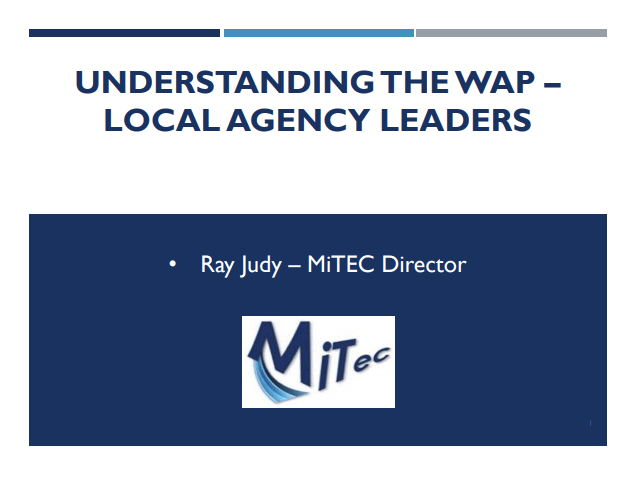 Leveraging the WAP Why and How Offers a basic background on the leverage rationale for a WAP organization, an overview of leveraging in the network, the regulation behind utilizing funding for leveraging initiatives, and coordinated program design considerations. Joint Report on Leveraged Non-Federal Funds for WAP in 2016 Report for use in comparing leveraging performance across states and determining the total resources and production of all agencies that are WAP subgrantees. (Completed in coordination with NASCSP). Background for Energy Advocates: Process for Setting Utility Rates Created by a former utility commissioner, points on the steps of a rate case so that WAP leaders understand the ways and opportunities to get involved. Tips on Relationship Building with Utility Regulators Relationship building is a key component to winning utility dollars, this guide talks through steps to begin building these kinds of relationships with utility commissioners. Energy Advocacy – Skills for Leaders Presentation from former IL utility commissioner at the 2018 CAP Management Conference. 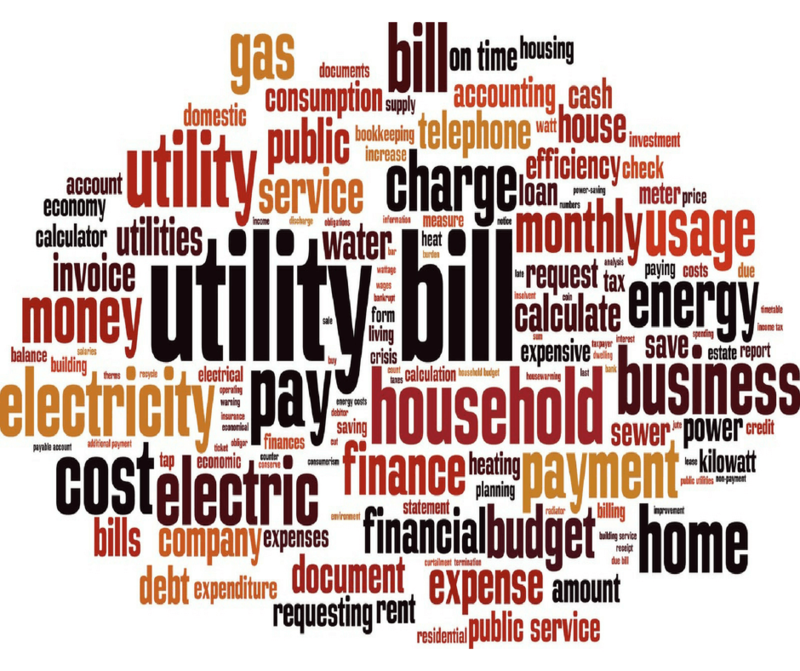 Utility & Regulatory Glossary A helpful dictionary for those engaged on these issues that are not attorneys or utility executives. 2017 WAP Grant Guidance on Leveraged Resources Includes the Program Guidance and Statutory Language that allows for allocating money in the state plan for leveraging initiatives. Sample Language for Leveraging in WAP State Plan Language from MA and WA, both of which fund a utility-focused advocacy organization to win and maintain leveraged funds for the WAP network. How Associations of CAA or WAP Organize to Win Big for Low Income Energy Consumers The Energy Project of Washington, the Community Action Partnership of Oregon, and the Arizona Association of Community Action detail how and why they found funding for energy staff in order to win and keep utility resources and consumer protections for their state network. Model Tool Fixed Charge Testimony from WA Offers model arguments to rebut rate proposals with high fixed charges. Model Tool Discovery Questions for Utility Rate Case from OR CAA Association Includes strong sample questions that Weatherizers and associations can use for ‘discovery’ in a rate case that would provide significant utility information for informed intervention. Model Tool Testimony from NH CAA Excellent winning example of utilizing simple data to maintain or increase utility programs. Model Testimony from Fisher, Sheehan & Colton Provides detailed argument on the risks of on-bill financing for energy efficiency. Designing Effective Utility Weatherization Partnerships Presentation from DOE WAP Program Manager and the Community Action Partnership of Oregon at the 2017 CAP Conference on coordinating WAP, LIHEAP, and utility dollars. Leveraging and Managing Multiple Funding Streams Pesentation by DOE WAP Program Manager at the 2017 CAP Management Conference on the regulations behind leveraging the WAP and strategies for coordinated programs. Leveraging Services and Funding Presentation from CAP and WA Department of Commerce at 2018 Home Performance Conference includes leveraging basics, scope of leveraging, and the WA leveraged program design. 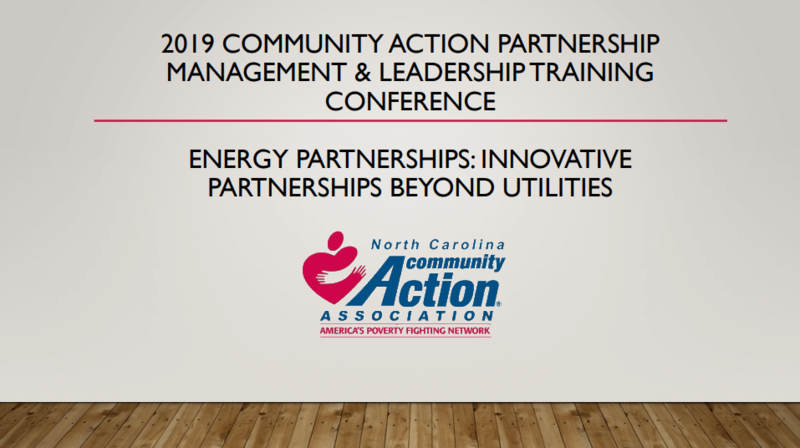 Designing Bundled Energy Affordability Programs Presentation from Coconino County Community Services (AZ) and Hunting Park Neighborhood Energy Center (PA) on coordinating LIHEAP, WAP, and case management. Case Study: Fresno EOC Single Family Solar Overview of the CA solar program coordinated with WAP using Cap and Trade dollars. Case Study: Northeast Community Action Corporation Healthy Homes Overview of NECAC’s program coordinating WAP with environmental assessments and asthma education. Case Study: United CAP Coordination with Co-Ops Overview of efforts for MN Weatherizers to coordinate WAP and energy counseling utilizing Co-Op funding. 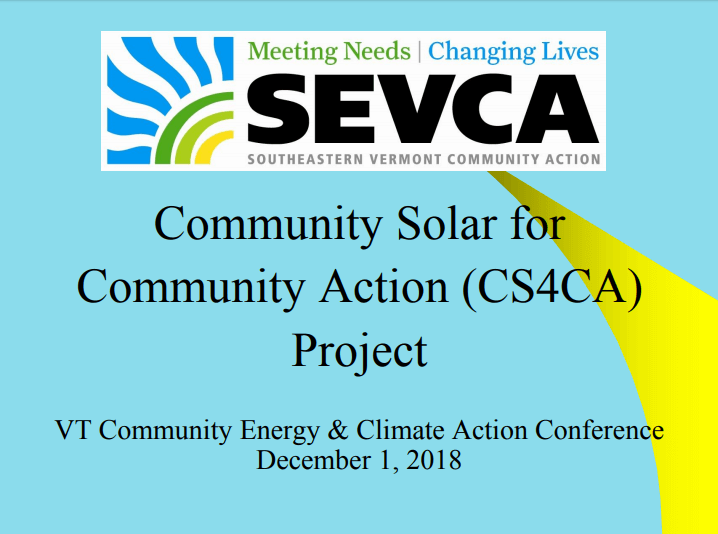 Access to Solar – Project Updates and Consumer Protection Cautions Community Action Partnership of Oregon is working to coordinate DOE WAP and Community Solar utilizing the recently released SIR calculator. Plus, National Consumer Law Center provides strategies to think through consumer protection issues. Since 2001, this project has been managed by Economic Opportunity Studies under the supervision of Meg Power. Since 2016, Community Action Partnership has been sharing in the work of the project and is now funded to manage the project through 2019. Meg Power will continue contributing as a consultant to CAP. As we continue to transition resources, you are encouraged to also view www.weatherizationplus.org for additional resources. Contact Project Advisor Meg Power with questions, comments, and to share the story of innovative leveraged partnerships in your state network.